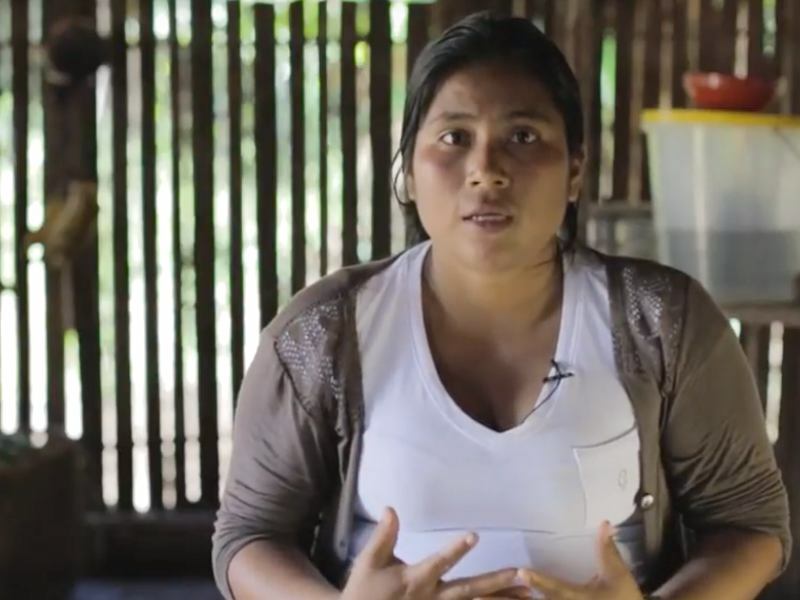 Watch this Open Letter to the U.S. from the Ecuadorian Amazon, and sign our petition in solidarity with the communities demanding Chevron take responsibility for massive contamination in their lands. After 18 years, in February, a court in Ecuador ruled in favor of the Amazonian residents who have been demanding Chevron pay to clean up the company's deadly mess. Finally, Chevron's guilt is official. It is time for the oil giant to take responsibility for its disaster. Report by international news network RT TV on Chevron's extraordinary legal efforts to evade acccountability for its toxic legacy in Ecuador – and the U.S. judge that is trying to help them escape justice. 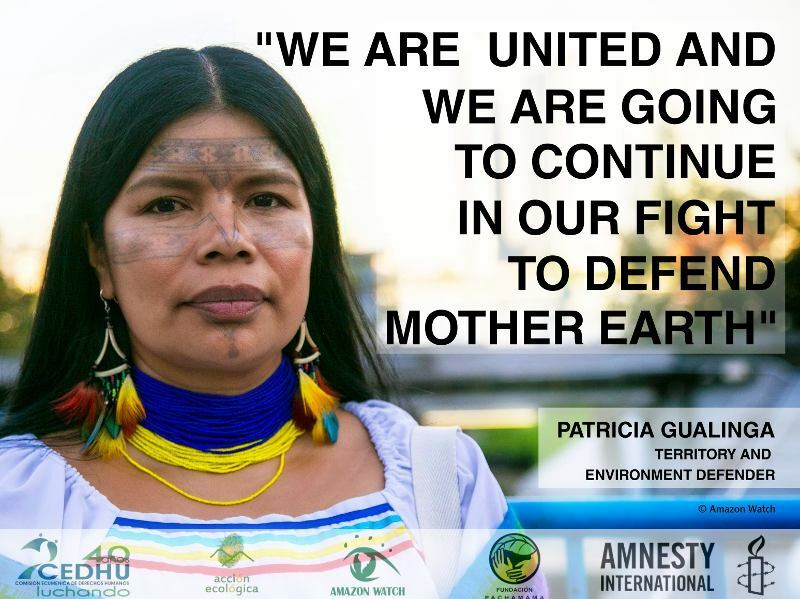 Read this AFP article that highlights the lead plaintiff in the monumental legal case against Chevron, a diminutive indigenous Kichwa woman named Maria Aguinda, whose fight for justice is making history. Chevron Paying Hush Money to Ecuador "Dirty Tricks" Guy? California legal newspaper the Daily Journal reports that Chevron may have paid a former contractor in Ecuador as much as $340,000 to keep quiet about his activities to disrupt the trial over oil pollution. Visit ChevronToxico.com to learn more about the campaign to hold Chevron accountable for its toxic legacy in Ecuador. Support ClearWater, a movement for clean water, rainforest protection, and cultural survival in the region contaminated by Chevron. For more than three decades, Chevron has chosen profit over people. While drilling for oil in Ecuador's Amazon rainforest region, Texaco – which merged with Chevron in 2001 – operated without concern for the environment or local residents. The company deliberately dumped billions of gallons of toxic wastewater into rivers and streams, spilled millions of gallons of crude oil, and abandoned hazardous waste in hundreds of unlined open-air pits littered throughout the region. 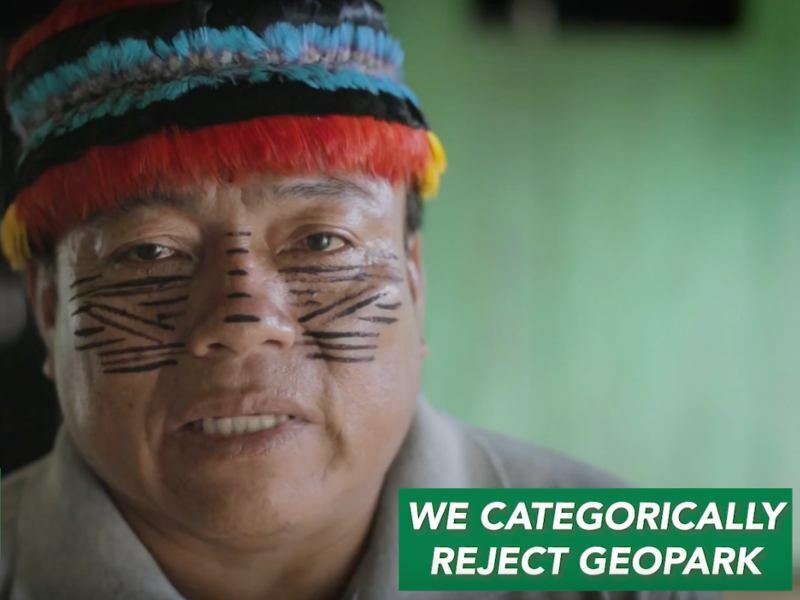 The result is widespread devastation of the rainforest ecosystem and local indigenous communities, and one of the worst environmental disasters in history. Due to Chevron's toxic contamination of their soil, rivers and streams, and groundwater, local indigenous and campesino communities continue to suffer an epidemic of cancer, birth defects, miscarriages, and other ailments. Chevron has never carried out a meaningful clean up of the mess it is responsible for, and its infrastructure continues to poison the communities of the Ecuadorian Amazon. Today, more than 30,000 Ecuadorians are fighting for justice with an international campaign and a landmark class action lawsuit in Ecuadorian courts. Despite Chevron's repeated efforts to sabotage the trial, the local people remain determined to hold Chevron accountable, demanding clean-up costs and compensation for the devastation the company caused. 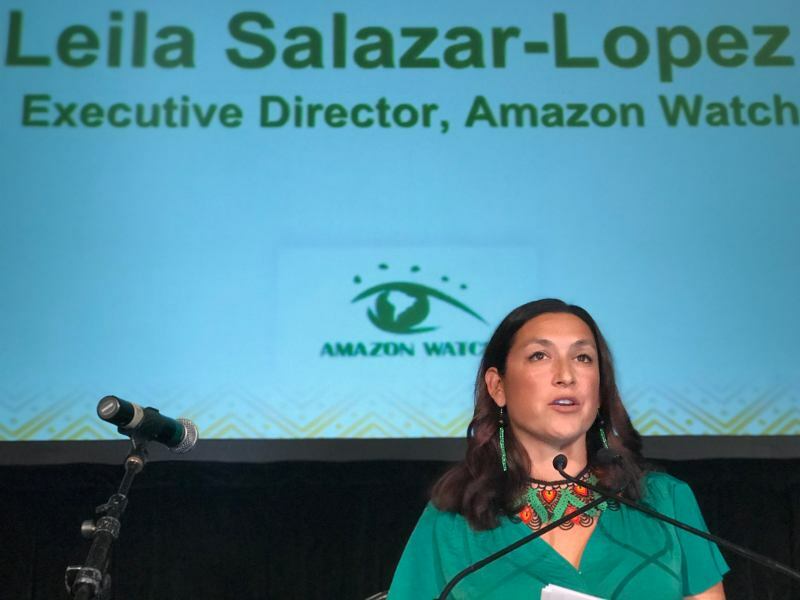 Since 2002, Amazon Watch and our Clean Up Ecuador Campaign has been working with shareholders, consumers, and other concerned people to support justice for the communities of the Ecuadorian Amazon. In 1964, Texaco (now Chevron), discovered oil in the remote northern region of the Ecuadorian Amazon, known as the Oriente; the East. The indigenous inhabitants of this pristine rainforest, including the Cofán, Siona, Secoya, Kichwa and Huaorani tribes, lived traditional lifestyles largely untouched by modern civilization. The forests and rivers provided the physical and cultural subsistence base for their daily survival. They had little idea what to expect or how to prepare when oil workers moved into their backyard and founded the town of Lago Agrio, or "Sour Lake", named after the town in Texas where oil company Texaco was founded. The Ecuadorian government had similarly little idea what to expect; no one had ever successfully drilled for oil in the Amazon rainforest before. The government entrusted Texaco, a well-known U.S. company with more than a half-century's worth of experience, to employ modern oil-drilling practices and technology in the country's emerging oil patch. However, despite existing environmental laws, Texaco made deliberate, cost-cutting operational decisions that, for 28 years, resulted in an environmental catastrophe that experts have called "Chernobyl in the Amazon." Unlike BP's Gulf spill that was the result of a single cataclysmic event, Texaco's oil extraction system in Ecuador was designed, built, and operated on the cheap using substandard technology from the outset. This led to systematic pollution from multiple sources on a daily basis for almost three decades. In a rainforest area roughly three times the size of Manhattan, Chevron carved out 350 oil wells, and upon leaving the country in 1992, left behind some 1,000 open-air, unlined waste pits filled with crude and toxic sludge. Many of these pits leak into the water table or overflow in heavy rains, polluting rivers and streams that tens of thousands of people depend on for drinking, cooking, bathing and fishing. Chevron also dumped more than 18 billion gallons of toxic wastewater called "produced water" – a byproduct of the drilling process – into the rivers of the Oriente. At the height of Texaco's operations, the company was dumping an estimated 4 million gallons of per day, a practice outlawed in major US oil producing states like Louisiana, Texas, and California decades before the company began operations in Ecuador in 1967. By handling its toxic waste in Ecuador in ways that were illegal in its home country, Texaco saved an estimated $3 per barrel of oil produced. Oil exploitation in the Ecuadorian Amazon has done more than pollute the water and soil of one of the world's most sensitive and biodiverse ecosystems. It has irreversibly altered and degraded an environment that people have called home for millennia. Indigenous peoples who knew the forest intimately and lived sustainably off of its resources for countless generations have found themselves forced into dire poverty, unable to make a living in their traditional ways now that the rivers and forests are empty of fish and game. Native Amazonians and recent migrants to the area alike suffer from a severe health crisis that includes cancer, birth defects, and everyday ailments related to toxic exposure. For the indigenous residents, the physical ailments they face are accentuated by the cultural impoverishment that the oil industry has brought to the region, in some cases amounting to the almost total loss of ancient traditions and wisdom. Neither Texaco nor the government of Ecuador consulted local people before commencing with oil activity in the Oriente. No permission was ever granted, and no vote ever taken, by those whose lives were to be irrevocably changed with the arrival of Big Oil. Not until Texaco had already done its damage, packed up and left the country were the people of the Oriente able to organize to effectively defend their rights. Now they are involved in a struggle of epic proportions and worldwide consequences as they fight to hold Chevron, the inheritor of Texaco's legacy, accountable for one of the worst oil disasters on the planet. Before Texaco's arrival in 1964, the Oriente was sparsely populated and its environment pristine. The indigenous peoples of the area included the Cofán, Siona, Secoya, Kichwa, and Huaorani. They lived by a combination of hunting, gathering, fishing and small-scale, subsistence agriculture. The populations of these indigenous groups had been greatly reduced by prior conflict with settlers, and disease epidemics brought on by contact with the outside world, particularly during the rubber boom of the late 19th and early 20th centuries. Nonetheless, many ancient traditions were intact, and indigenous peoples lived in close harmony with the forest, subtly managing its resources in sophisticated and ecologically sustainable ways. At the time, two nomadic indigenous groups, the Tetetes and the Sansahuari, inhabited the region and were as of yet uncontacted by the outside world. Shortly after Texaco's arrival, they were reported to have disappeared forever. Elders recall the dramatic shock precipitated by the sudden arrival of Texaco arriving "with all the subtlety of an invading army," according to one observer. Oil workers showed little respect for native cultures; more than half of people in one survey recalled being treated "poorly" or "very poorly" by Texaco workers. Workers ridiculed indigenous peoples for their customs and ways of dress, were hostile or unresponsive to those with grievances against the company, and committed acts of sexual violence against local people. Texaco workers introduced alcohol to communities unprepared for it; one Cofán chief died after a drinking bout. None of these social disruptions, however, were anything compared to the devastation that Texaco's oil operations themselves would bring. For many indigenous peoples, Texaco's oil operations all but destroyed a way of life that had prospered for centuries. A road completed by Texaco in 1972, linking Lago Agrio to the Andes mountains to the west, invited settlement by migrants from the highlands. Indigenous peoples who left their lands because, as a Cofán leader put it, "they didn't want to live next to a highway," never got them back. Contamination reduced fish and game stocks; those used to subsisting by hunting and gathering found it impossible to survive by those methods any longer. 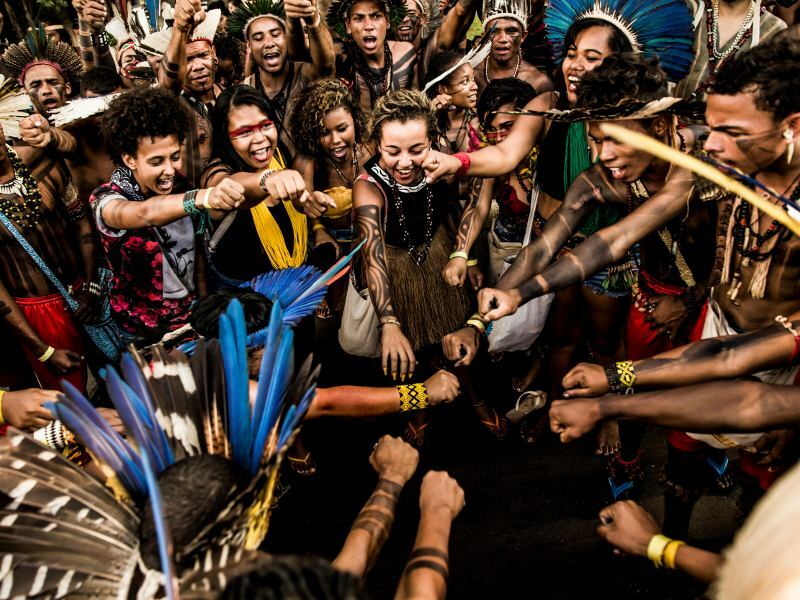 Indigenous cultural traditions and beliefs began to die alongside traditional ways of life. The people of the Oriente now suffer an exploding public health crisis, and dire poverty is endemic. All of the traditional indigenous communities of the region have been greatly affected. Chevron claims that the Cofán have actually increased in number since its arrival in Ecuador; what Chevron won't say is that Cofán culture is in danger of extinction – the one community that still practices a traditional lifestyle is home to fewer than 80 people. Due to Texaco's operations, most ethnic Cofán and other indigenous peoples have been forced off their ancestral lands, or restricted to a small portion of them. Some environmental damage can be remediated, but the damage Chevron has done to the social fabric of traditional communities can never be repaired. A public health crisis of immense proportions grips the Ecuadorian Amazon, the root cause of which is massive contamination from 40 years of oil operations. Texaco dumped 18 billion gallons of toxic wastewater directly into the region's rivers and streams depended upon for drinking, cooking, bathing and fishing. The contamination of water essential for the daily activities of tens of thousands of people has resulted in an epidemic of cancer, miscarriages, birth defects, and other ailments. Studies have attempted to quantify the health impact of Chevron's operations in Ecuador. Scientific surveys have confirmed what local people know from their own experience: rates of cancer, including mouth, stomach and uterine cancer, are elevated in areas where there is oil contamination. The court-appointed independent expert in the ongoing trial estimated that Chevron is responsible for at least 1400 excess cancer deaths. Other studies have found high rates of childhood leukemia in particular, as well as an abnormal number of miscarriages. Children whose mothers were exposed to contaminated water have been born with birth defects. Beyond the epidemic of these severe health problems, far more people suffer from frequent illness of a more minor type. Those who bathe in contaminated rivers report skin rashes. Those who drink the water report diarrhea. In this way, oil contamination has become a constant, oppressive, inescapable fact of life for tens of thousands of residents of the Oriente. The overall toll that oil exploitation has taken on the region is impossible to quantify, and can perhaps best be understood through the words of people directly affected. When Texaco arrived in Ecuador in 1964, the company found a pristine rainforest environment. When it left in 1990, the company left behind the worst oil-related environmental disaster on the planet. Conditions have unfortunately worsened since then. State oil company Petroecuador inherited Texaco's obsolete infrastructure and continued to operate it. Chevron, which purchased Texaco in 2001, continues to draw out legal proceedings that have lasted over 17 years, and refuses to fund an adequate environmental cleanup. From the outset, Texaco deliberately chose to use obsolete technology and substandard environmental controls. Texaco took advantage of limited Ecuadorian government oversight, and abused the trust of oil officials, who assumed that an American oil giant would employ the same state-of-the-art technology in Ecuador that it had developed and used at home. Environmental degradation from Texaco's operations has devastated a unique tropical forest ecosystem. It has ruined a way of life, rendering it nearly impossible for indigenous peoples to practice their traditional modes of subsistence. Oil contamination has also created a vast public health crisis throughout the Texaco concession area. 18 billion gallons of wastewater, called "produced water," dumped into rivers and streams. The construction of more than 900 open-air, unlined toxic waste pits that leach toxins into soil and groundwater. Release of contaminants through spills, spreading oil on roads, gas flaring, and burning of crude. The creation of a pipeline and road system that opened pristine rainforest to uncontrolled and widespread clearing, resulting in more than a million acres of deforestation. The Ecuadorian victims of Chevron's toxic legacy first filed a landmark class-action lawsuit against the company's predecessor Texaco in New York in 1993. Seventeen years later, the trial continues today against Chevron in an Ecuadorian courtroom in the Amazon town of Lago Agrio. The case is unprecedented, marking the first time a U.S. company faces a judgment in a foreign court over environmental crimes, and a ruling against Chevron would have repercussions far beyond Ecuador. The oil industry and communities around the world are watching and waiting on the outcome. 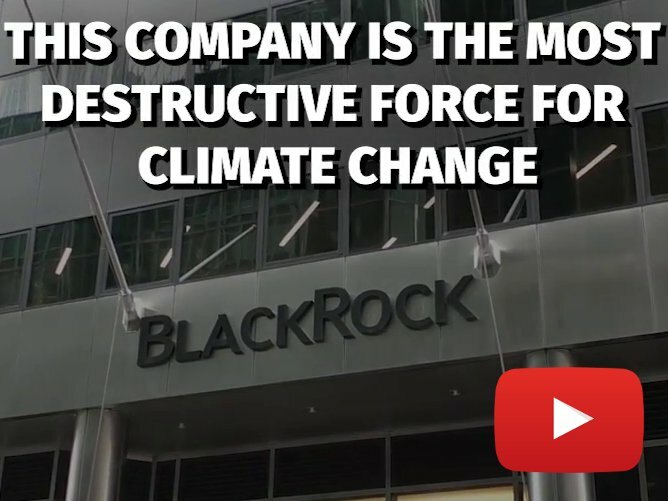 A victory for the affected communities would send shockwaves through corporate boardrooms around the world, putting multinational corporations on notice that they can and will be held accountable for environmental and human rights abuses, no matter where they are committed. Amazon Watch works with the affected communities in the case to monitor the trial and protect the judicial process, keep the ongoing fight for justice in the spotlight, and help coordinate international pressure for Chevron to do the right thing in Ecuador. The company has engaged in repeated attempts to subvert the rule of law in Ecuador, ranging from the use of deceptive sampling techniques in scientific studies of the contamination, to lobbying efforts in Washington, to dirty tricks campaigns to contrive a phony corruption scandal and smear the presiding judge. We have successfully worked with shareholders, consumers, environmentalists, indigenous rights supporters, and other concerned people to expose these efforts and keep the heat on Chevron to clean up its toxic legacy in Ecuador. However, we need continuing support to ensure that 30,000 Ecuadorian indigenous and campesino peoples get their day in court to demand accountability from one of the world's largest corporations.